CTV News anchor Natalie Piero and I chat about wines for spring, including those that pair well with both fish and shellfish, as well as those that drink well on their own as an aperitif. Host: Spring is here finally! Host: And Natalie MacLean is here to talk about some of the spring wines. Host: You change what you drink depending on the weather? Natalie: Yes, I do. Like winter wardrobe, get out of those heavy sweaters, get into something lighter, more comfortable. You’ll notice which spring wines, if I may generalize at a really high level, tend to be low in alcohol. They are refreshing. They are aperitifs, you often chill them, and they pair beautifully with a sunny dock or deck. That’s what we’re looking at, here. Host: I noticed you’ve got some Rosé wine. We’ve touched on one Rosé in our last segment. During the break I was saying that sometimes Rosé, in the past, had a bad rap. Natalie: Yes, they were kind of the pink syrup in the ‘70’s. Both of the examples I have today, one from Niagara and one from New Zealand, are bone dry. They’re beautiful, pink, field raspberries with a fresh fruit aroma and without the sugar or the heavy alcohol. That’s why I love Rosé, you can pack the flavour of the red but it’s still very light and zippy. Host: So if you like reds more than the whites, the Rosé is the way to go? Natalie: Yes, they work really well. You do chill them a bit but not quite as much as the whites. They’re really refreshing. Host: Okay. What else do you recommend for us? Natalie: What’s really on trend, now is Moscato. This is one of the fastest growing categories in the liquor stores these days. 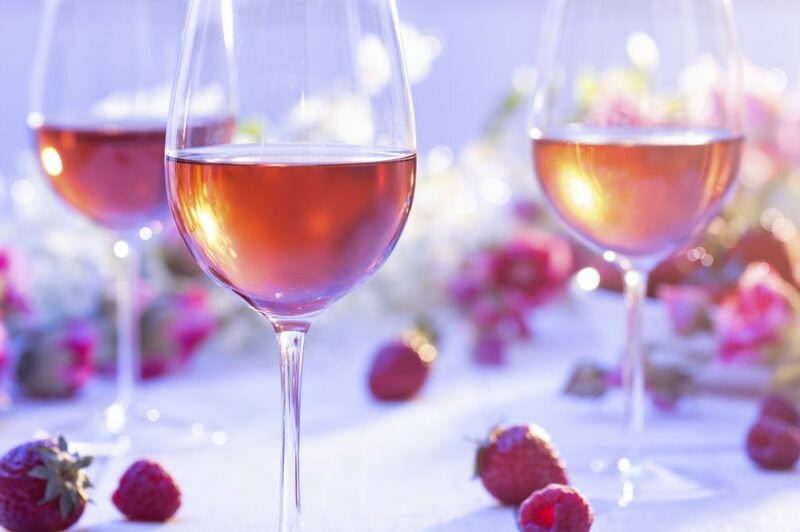 Moscato is a light floral white wine. It has a touch of sweetness. We often get concerned about sweetness in wine. Some say, “I don’t like sweet wine”. But you’ll want a touch of sweetness when the food has a bit of sweetness. So, I’m back to the glazed ham from Easter. Sometimes we put a chutney with our dishes or we’ll have a certain glaze. You want something that’s not bone dry and has a natural sweetness like Moscato. Host: Okay. What about these wines, here? Natalie: Here we have zippy white wines. This is a blend of white grapes from California. It is very fresh, very nice. This is a Riesling from Alsace, which borders France and Germany. These are terrific with our fresh caught shellfish and seafood. You don’t want any heavy oak. You want something refreshing. 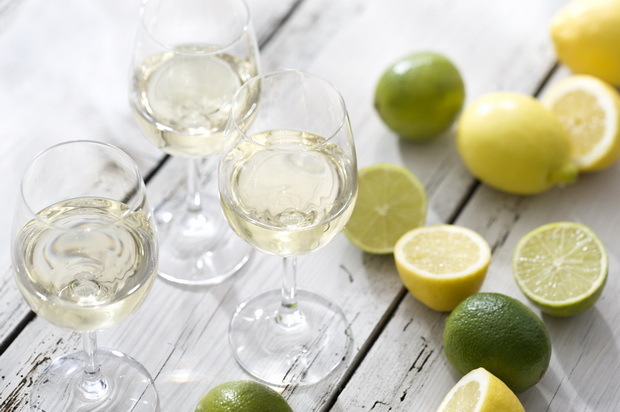 Another thing we are afraid of when it comes to wine is acidity. Acidity is that sort of feeling when your mouth is watering. It literally wets your appetite. I think of acidity as the salt of wine. 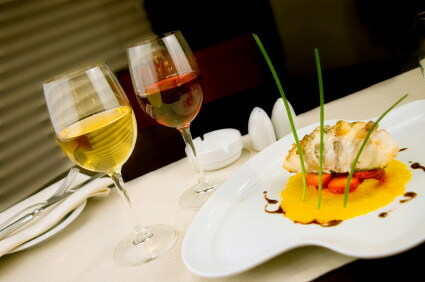 It brings forward the flavour, not only in the wine, but also in the food. It’s a good thing to have when you try to pair wine with food. Host: Why do we not drink reds with fish? There’s a reason behind that, right? Natalie: Absolutely! We long thought it was some sort of clash between tannins and fish iodine. What the latest studies are showing is that the iron content in the wine that comes from the soil can clash or break down the unsaturated good fats in fish. You get that iron, almost metallic taste sometimes if you have a big honking Cabernet and a light sole fish. It really doesn’t work. There are some combinations though that will work. Natalie: We have a nice light red Pinot Noir. Wines made from the Gamay grape will also work. These are light reds that will work with a heavy meaty fish like plank salmon or seared tuna. They can meet in the middle. Natalie: I am often there though; it’s a good chance! Host: You have an app? Natalie: I do, I have an app for that. This wine app is like a pocket sommelier. It’s on all the major platforms iPhone, iPad and Android. You can scan any barcode with the app and up will come the tasting notes, the score, food matches, recipe’s. We’ve got a lot of neat features coming out in a new app very soon. It will be an automatic upgrade as soon as you upload it and it’s free. Natalie: A lot of people get intimidated when they’re standing in front of liquor store shelves because what you see is a wall of bottles. Now, you can go up to a bottle, scan the barcode and find the information you want. A lot of people just don’t want to ask, that’s why apps are especially important when it comes to wine. We often make our decisions at home. Host: Then you can look like you know what you’re talking about in front of all your friends. Host: Talk about the tasting notes for that wine. Natalie: You can have different conversations with your friends about the wine. Host: And it has the price points and everything? Host: We didn’t get to talk about the prices, but generally speaking, $20? Natalie: Yes, especially with this group of wines, we’re in a $20 range. The Sparkling is a little bit more. I do like to keep it reasonable because you can drink really great wines for not a lot of money. Host: Thanks very much. It’s always a pleasure to have you and we’ll have a link to Natalie MacLean’s website on our website, ottawa.ctvnews.ca.